When Jossie Ehler imagined her wedding day, she always knew that animals would be involved somehow. So she was delighted to have three rescue kittens take part in her special day. 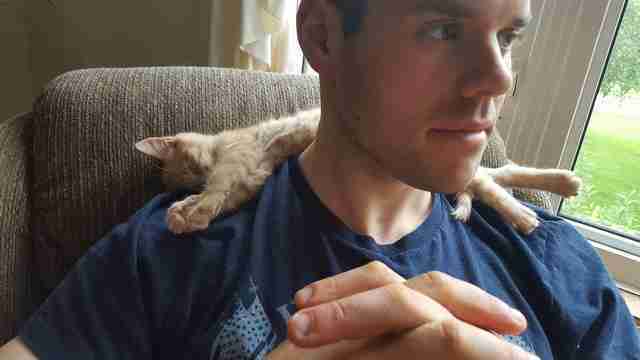 Five and a half years ago, Ehler started working as a shelter assistant at the PEI Humane Society, which is the only animal shelter on Prince Edward Island in Canada. In addition to her day job, Ehler frequently volunteers to foster tiny, milk-dependent kittens. Over the past two years, Ehler and her now-husband, Liam Gauthie, have fostered over 70 kittens, according to Ehler, as well as the occasional senior dog. When Ehler and Gauthie’s wedding day approached on September 10, Ehler had three kittens in her care — Einstein, Billy Nye and Neil. 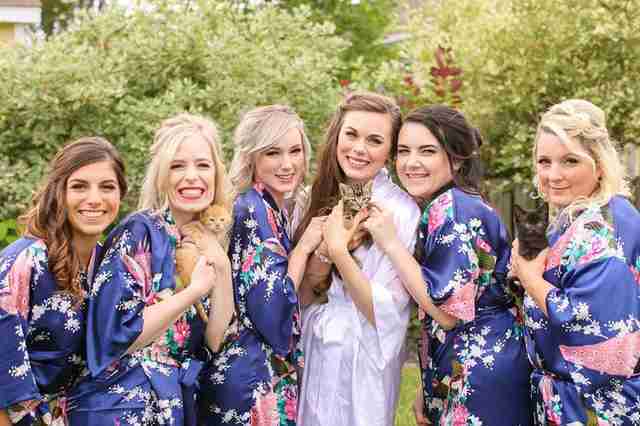 While Ehler and her five bridesmaids (three of whom work at the humane society with Ehler) were getting ready for the wedding at Ehler’s house, the kittens were the perfect companions. To make the kittens an official part of Ehler’s big day, Ehler and her bridesmaids posed with the kittens for the wedding photographer. 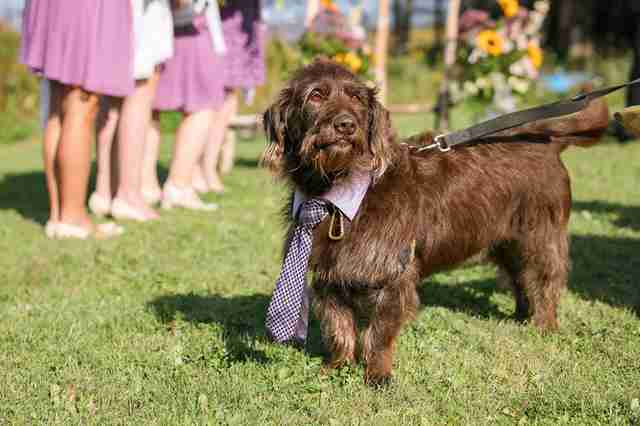 Another special wedding guest at the wedding was Divot, the first dog Ehler fostered from the PEI Humane Society, and who is now owned by one of Ehler and Gauthie’s friends. He acted as the ring bearer in the ceremony. Divot even played a key role in Ehler and Gauthie’s engagement. “We thought it was pretty fitting that he gave me my engagement ring, and then he gave me my wedding ring too,” Ehler added. 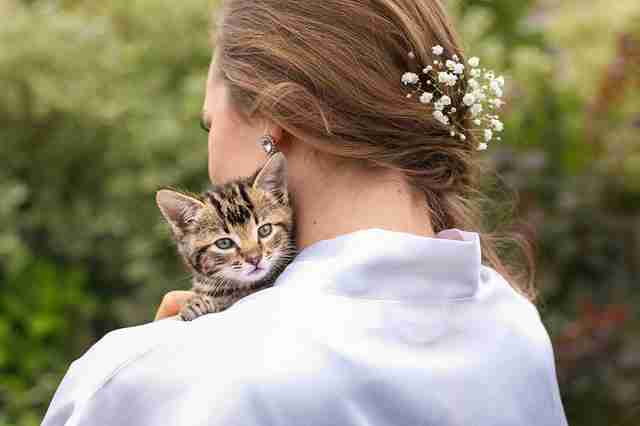 But it was the kittens who got all the attention — Ehler’s wedding photos went viral, much to her surprise. 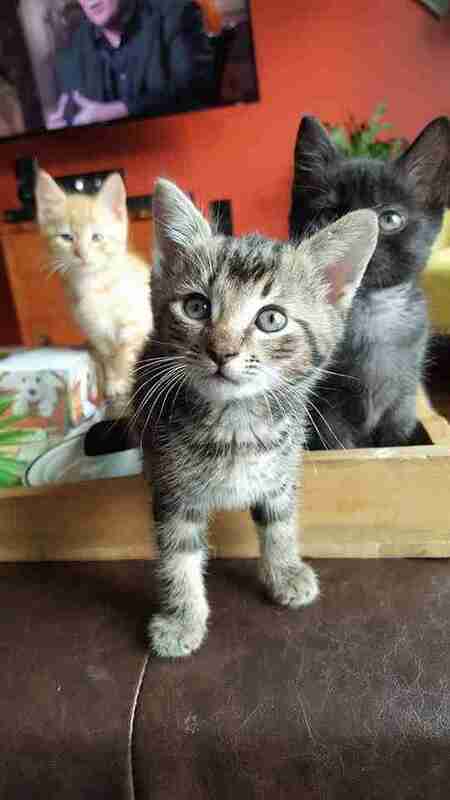 The photos also helped the kittens find forever families. To help PEI Humane Society rescue and rehome more animals, you can make a donation.